Google’s quietly rolled out a new Chrome extension that could severely threaten the future of ‘read it later’ features and services like Pocket. 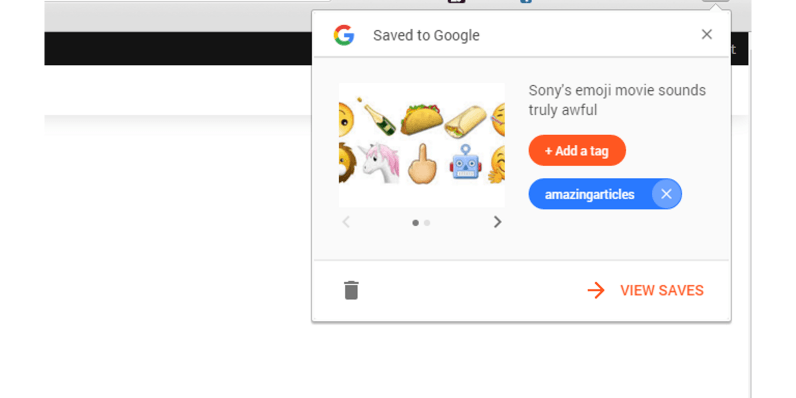 Google previously let you save images to your account from an Image Search and tag them for quick retrieval, but it now has a Chrome extension that lets you save any entire webpage to your account. Clearly, it’s a side-swipe at companies like Pocket, which if continually developed could pose a potential threat to similar services in the long-run. Google isn’t alone either: Facebook also announced that its ‘Save to Facebook’ button is being opened up to work across the entire Web. Both companies are hoping to give just one more reason for you to keep within their own ecosystems – it also, of course, provides yet more data about you, your interests and everything else, which is pretty useful for two companies funded primarily by ad revenue. That might make you feel uncomfortable, or it might just be another tiny blip in the erosion of privacy that you’re prepared to live with for the additional convenience. If it’s the latter, you can add the Chrome extension and start saving pages right away. To access them, you can go to google.com/save. Official ‘Save to Google’ Chrome Extension Now Available on OMG! Chrome!